Create an image of a fish and other natural objects with relief surfaces with exacting detail! This 400 year old technique is accomplished by using ink applied directly onto the body of the fish and a rubbing motion to transfer its detailed features to paper or cloth. 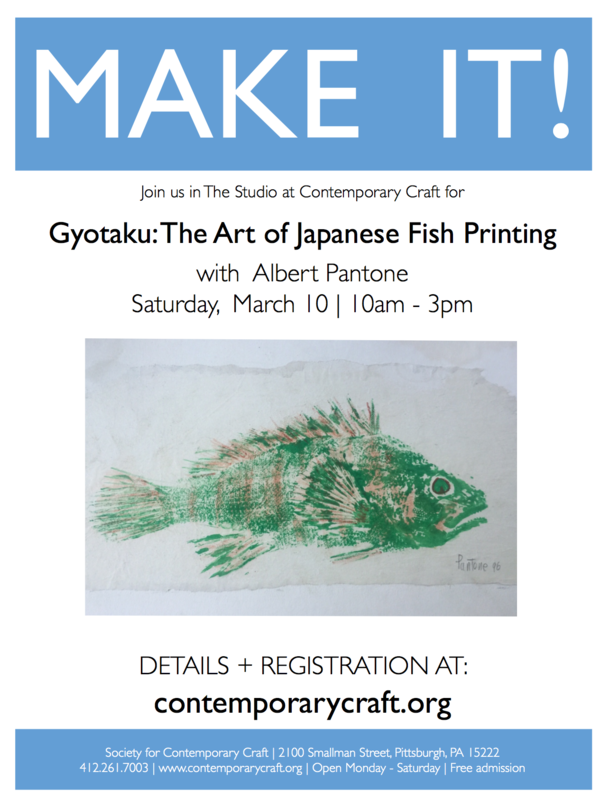 Learn the 400 year old Japanese art of Gyotaku Students will create an image of a fish and other natural objects with relief surfaces with exacting detail! This technique uses block print Ink, rice papers, acrylic and watercolor paints. Students will take home a fish print ready to mount and frame. Albert Pantone is a fiber artist specializing in paper making with native invasive plant species.